Sometimes it’s the simple things that give you the biggest results. People spend time looking for the latest supplement, diet fad or workout routine, but the one of the best things that you can do for your health is something that requires a lot less effort and does not cost anything. Sleep is the most neglected aspect of health for most people but it is just as important as your nutrition and exercise. Even with a perfect nutrition program and workout, your results will be very limited without sufficient rest. Sleep aids in muscle growth and give your body the recovery it needs. If you are serious about getting results from all your hard work during the day, it’s important that you get the right amount of rest at night. The right amount of sleep can change greatly from person to person. Most people need about 6-10 hours of sleep per day. The amount of sleep is not as important as the quality of sleep. When you wake up, you should feel rested and refreshed. It is important that your body cycles through the different stages of sleep. NREM-1: Light sleep. The body is between sleep and awake almost like daydreaming. This stage usually lasts for about 5-10 minutes. NREM-2: Light sleep. The brainwaves slow down and the muscles relax. The heart rate also slows and the body temperature drops. This stage usually lasts for about 20 minutes. NREM-3: Deep Sleep. The brainwaves slow down even more. It is hard to wake up while in stage 3 sleep. REM: The eyes move rapidly even though they are closed. The brain activity and respiration both increase during this stage. This is where most dreaming occurs. The first REM stage usually begins about 90 minutes after falling asleep. Most of the muscle building and beneficial hormones are released during NREM-3 and REM stages of sleep. Most non-sleep deprived individuals reach about 4-5 REM periods in a night. The cycles do not always go in order. The body fluctuates between the stages which is why it’s important to give yourself enough time to sleep. We’ve all had that night where no matter how early we go to bed; we just get a bad night’s sleep. I don’t think people need a study to tell them how crappy they feel. Not enough sleep will leave you more easily agitated and will make it harder for you to focus on simple tasks. A lack of sleep can also make you less productive and impair your logic and memory. A decrease in your physical performance can also be attributed to too little sleep. 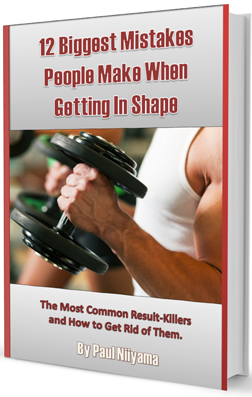 This means your workouts will suffer as well as any other type of athletic activity. Cortisol is a hormone that does many things in the body; some good and some bad. One of the negative effects is that it is very catabolic meaning it breaks down muscle tissue. When you are stressed more cortisol is released throughout the body. In addition to breaking down muscle, cortisol also increases the amount of fat that your body stores. When you are sleeping the body produces melatonin which reduces the levels of cortisol in the body. The melatonin helps your body to relax and aids with circadian rhythms, which in turn control sleeping patterns. Testosterone is commonly known as a male hormone but is also produced in females. Testosterone is the primary hormone for muscle and strength gains and aids in burning body fat. Human Growth Hormone (HGH) builds and repairs muscles and stimulates the production of IGF-1 (Insulin-like growth factor 1) which also has an anabolic effect on the body. The amount of sleep you get directly impacts how much HGH your body produces. Almost 80% of the HGH that the body secretes is during your sleep so an inadequate amount of sleep will hinder your body’s ability to make HGH. The levels of the hormones leptin and ghrelin may be the cause of the increased weight. Ghrelin increases your appetite and leptin makes you feel full. A 2004 study showed a correlation with patients with shorter sleep duration and elevated levels of ghrelin and reduced levels of leptin. Having these altered hormone levels can make it hard to be compliant with any weight loss nutrition plan. Feeling tired can also affect your motivation to work out and a decrease your workout intensity. These may also play a role in the increase of obesity. Whatever you are trying to accomplish, you need to get the right amount of sleep. Since cortisol is increased and testosterone and HGH are decreased from too little sleep, getting the proper amount of rest plays an important role in building muscle and strength. If you are trying to lose weight, getting enough sleep also plays an important role. Avoid caffeine and alcohol before bed. Caffeine has a half-life of 6 hours. This means if you ingest 200 mg of caffeine it will take 6 hours for that amount in your system to be reduced to 100 mg. Yes, even though you may not feel it’s effects, it is still circulating in your body. If you have trouble falling asleep it could be due to caffeine. Start limiting your intake a few hours before bed. This means no coffee, tea or pre workouts at night. Alcohol can make you fall asleep faster, but can screw with your hormone release and your circadian rhythms. It will be difficult for your body to get to the NREM-3 and REM stages of sleep if you there is too much alcohol in your system. Avoid big meals before bed. It can be difficult for your body to relax when it has to digest a big meal. It also causes the body to release more of the stress hormone cortisol. Try to get all your calories at least 2 hours before bed time so the body can rest easier. Create a ritual. It is much easier for your body to fall asleep when you have a dedicated sleep ritual that you can follow every day. Many of the functions within our bodies are regulated by a circadian clock that balances our sleep-wake cycles. Keeping a regular sleep schedule (even on the weekends) helps to strengthen these circadian rhythms. Turn off electronics. Electronics like televisions, computers and cel phones emit a blue light that the body recognizes as daytime. This can make it hard to relax and may disrupt our body’s circadian rhythm. If you just can’t resist technology you can some orange lens glasses that block blue light and will help your body relax. Avoid Naps. Taking a nap during the day can help to give you a boost but might be counterproductive if you already have trouble sleeping at night. A nap can accentuate bad sleeping habits and throw off your body’s circadian rhythms. So before your next daytime snooze, ask yourself it’s worth the possible long-term effects to your nighttime sleep. So if you are eating clean and working out like a madman but not getting the kind of results that you want, then start sleeping more and see what happens. It may be what is missing from your program. Thanks for reading and I’d love to hear how sleeping more has affected your health or any tips you have for getting a better sleep. Leave a comment below in our facebook group.